← Can the Corpse Rise Again? The deadline approaches for the 5th Annual Book Pipeline Competition! The contest seeks material for film or television adaptation. 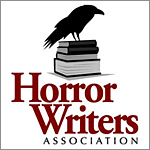 Open to writers worldwide, the contest accepts any genre, fiction or non-fiction. Published or unpublished. Visit Book Pipeline here. One Grand Prize Winner receives $10,000 and circulation to Lakeshore Entertainment (Million Dollar Baby, American Pastoral), QC Entertainment (producer of Academy Award Nominee Get Out), Good Fear Film + Management (Polaroid), Energy Entertainment (Extant), Silent R Management (reps Academy Award winning director Barry Jenkins), and other leading production companies, managers, and agencies best-suited for developing the selected projects. Finalists and semifinalists also receive circulation consideration with the specific intent of getting them on the fast track to film and TV production. Most recently, contest winner I Am Raymond Washington was optioned by Zero Gravity Management (Ozark, Beasts of No Nation). Book Pipeline execs sent the material to several production companies before the biography was picked up.